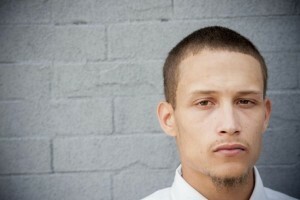 22 year-old Ramsey Orta was the young man who shot the gruesome video of the NYPD killing Eric Garner. The cops placed father of 6, Eric Garner, in a chokehold and slammed his head to the pavement, piling on top of him as he gasped for air, eventually killing him. The video went ultra viral, helping to expose the atrocious police state. Because of people like you sharing these stories and Ramsey Orta making them, these pressing issues are being forced into the mainstream. Police say an unloaded semi-automatic weapon was recovered from Orta. It was reported stolen in Michigan in 2007. They say Orta is in a hospital being treated for a medical condition. However, Orta’s wife believes this arrest was a setup. This was not the first time Orta had used his cell phone to record police brutality. Just a week prior to filming Garner’s death, he filmed another violent arrest at the same location. 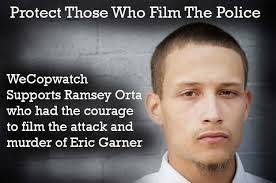 Then, just a week after Garner’s death, Orta reported to Time that he was already receiving harassment from police for the filming of Garner’s death. We may never know if this was a setup or not. But it certainly was a ‘lucky break’ for the NYPD, that only a day after the death of a man, who died in their custody was ruled a homicide, that the man responsible for exposing it, is now in their custody.